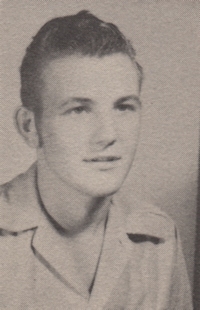 Obituary – Skalenda, William Ronald “Ron” « Perry High School Alumni Association, Inc.
Ron Skalenda, 81, of Midland, passed away on Saturday, July 4, 2015. Rosary services will be held on Wednesday, July 8, 2015, at 7 PM at Nalley-Pickle & Welch Chapel in Midland, TX. Funeral services will be held on Thursday, July 9, 2015 at 10 AM at St. Stephen’s Catholic Church, with Monsignor James Bridges, pastor, officiating. The family will be greeting friends and family from 6pm to 8pm, Friday, July 10, 2015 at Brown-Dugger Funeral Home in Perry, Oklahoma. Interment will be on Saturday, July 11, 2015, at 10:00 AM at the St. Rose of Lima Catholic Cemetery in Perry, Oklahoma. Ron was born to William and Clara Skalenda in Perry, Oklahoma. After attending Perry High School he graduated from Oklahoma State University with a BS in Mechanical Engineering. He worked for Texaco Inc. before being drafted into the U.S. Army. After serving his country as part of the Redstone Missile project, he returned to work for Texaco where his job took him from Nocona and Gainesville, TX to Hobbs, NM and eventually Midland, TX where he retired in September of 1994. He was a member and past president of the Society of Petroleum Engineers. Ron counted logging deviated wells in the early 1960s and the Waterflood development and C02 evaluations at the Roberts Unit among his most memorable moments at Texaco. Ron married Anna Frances (Fran) Rolling at their hometown church in Perry Oklahoma immediately following his release from the Army and started their 50+ year journey together. They focused much of their time together on their children, grand and great grandchildren, but found time along the way to enjoy bowling, traveling to see family, gardening and volunteering together. 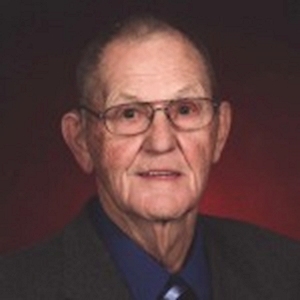 Ron was a 20 year member of St. Helena Catholic Church in Hobbs where he was active in the Parish Council and helped with the Family Fair fundraiser for many years. He became an active member of Midland’s St. Stephen’s Catholic Church since 1989, taking pleasure in his duties as an Eucharistic Minister and supporting the prison ministry. He was an active member of the Knights of Columbus throughout his life, held various offices in the organization, was a founding member of St. Stephen’s Council 12657, achieved the status of 4th degree Knight, and received numerous awards for his service. Ron volunteered countless hours at Helping Hands of Midland, Meals-On-Wheels and Christmas-in-April. He also enjoyed league bowling throughout his life and traveling to participate in the annual US Open Tournaments. Outside of his family, work and church, he enjoyed golfing with his regular group, participating in various fund-raising tournaments and challenging his brother on their yearly vacations. Survivors include his children, Bill Skalenda and wife Paula of Plano, TX, Kevin Skalenda and wife Kendra of Odessa, TX, Laurie Skalenda of Tucson, AZ, Robbie Skalenda of Dallas, TX, Rona Coleman and husband David of West Memphis, AR, and Julie Chavarria and husband Bubba of Hobbs, NM; seven grandchildren, Chris Skalenda of Westminster, CO, Jamie Garza and husband Michael of Odessa, TX, Jordan, Marissa, and Isaiah Chavarria of Hobbs, NM and Benjamin and Adam Coleman of West Memphis, AR; three great grandchildren, Aubrey, Brycen and Callie Garza of Odessa, TX, one brother, Bernard Skalenda and wife Betty of Lebanon, MO, and many nieces and nephews. He is preceded in death by his wife, Anna ”Fran” Skalenda, his parents and two brothers, A.C. Skalenda and Vernon Skalenda. In lieu of flowers, the family suggests memorials to be made to Helping Hands of Midland, 1301 Brinson, Midland, Texas 79703 or to St. Stephen’s Catholic Church, 4601 Neely Ave., Midland, Texas, 79707. Arrangements are under the direction of Nalley-Pickle & Welch Funeral Home & Crematory of Midland and Brown-Dugger Funeral Home, 1010 N 7th Perry, OK 73077.